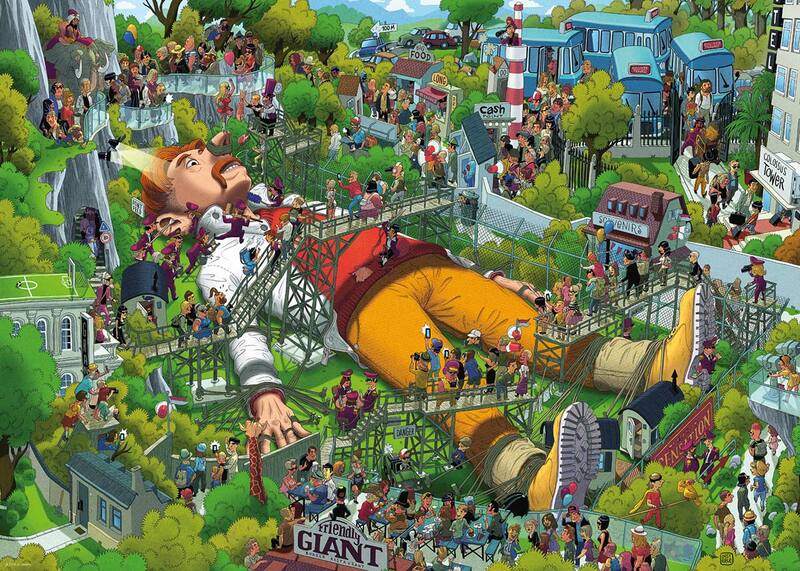 In the 1000 piece jigsaw puzzle, Gulliver by Heye, a colorful cartoon illustration of the famous giant Gulliver being tied down by tiny men is depicted. This puzzles dimensions are 27.5" x 19.6" which makes it a wonderful and challenging puzzle. This puzzle which is held in a triangular puzzle box is the perfect afternoon activity!